Welcome to the Plan Your Visit section of IMS.com. 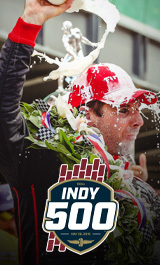 Here you will find information for Race Day along with tips to getting in and out of the Indianapolis Motor Speedway as quick and smoothly as possible. Print out our guide for quick information for you stay at IMS. Download Guide. Make sure to follow IMS on Twitter and Facebook for the latest information for Race Day.